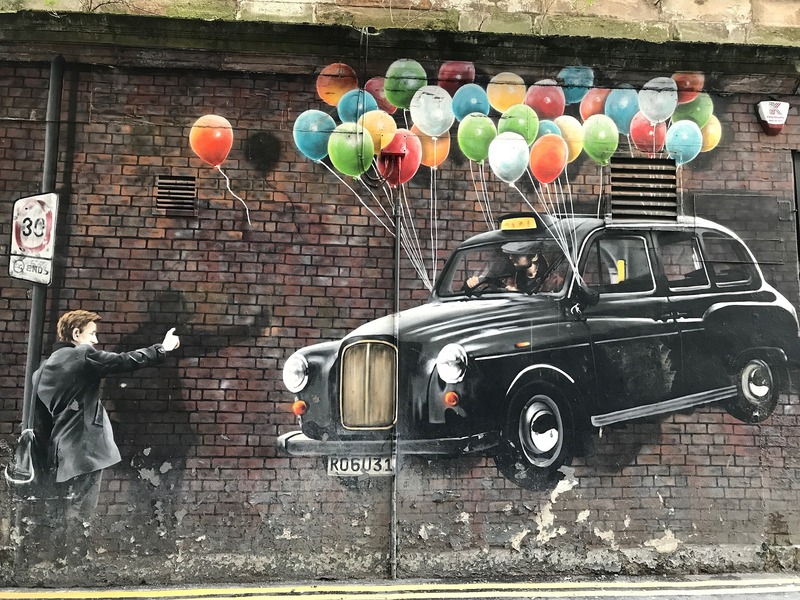 This was just one of the many thought-provoking points raised at the Scottish Urban Regeneration Forum’s (SURF) 25th Anniversary Conference, where the very activity of regeneration was put under the microscope. In a packed room of delegates, the day opened with two opposing views. The first argued that although regeneration had undoubtedly had its failures, there had been a number of important successes, which had resulted in better places and opportunities for both communities and individuals. The second – and more pessimistic perspective – was that regeneration policy had entirely failed, and that the areas experiencing poverty and deprivation had barely changed over the past 25 years (particularly in Glasgow, where much of the regeneration activity has been focused). This provided a useful lens through which to view regeneration, as we moved onto a day of workshops and debates on 25 years of regeneration policy, starting from New Life for Urban Scotland all the way up to City Region Deals. Below I’ve outlined some of the most interesting points to come from these sessions. There was broad agreement that regeneration was about more than building homes, and that one of its core purposes was to tackle inequality. Universal Basic Income is a policy in which everyone in society is given a sum of money, without any conditions. This policy – likely to be popular – was proposed by a delegate, highlighting its potential for addressing increasing levels of income inequality. A pilot study is already underway in Finland, with participants reporting lower stress levels and greater incentive to work. The Scottish Government has also recently committed to funding local experiments in Fife, Glasgow and North Ayrshire Councils. In many of the debates, it was felt that community ownership of buildings and land was key to ensuring a fairer distribution of society’s wealth. Other benefits of community ownership include protecting key local services/facilities (which may have otherwise been lost) and offering better stewardship, as the community have a greater understanding of local needs. Research has also shown that local communities – who have replaced private landlords – have outperformed the landlords they have replaced. In the past two decades, the value of their land has increased by almost 250%. Delegates highlighted that local areas often need local solutions. For instance, a representative from the Bute Island Alliance noted that addressing their declining population was key to their regeneration goals. There was a strong feeling that communities had to be consulted. A representative from a local charity explained that “if you are working for a community, then it must include the community”. Others, suggested that some communities would not have the capacity to make decisions on regeneration projects. Yet, this was quickly deemed patronising, with many noting the series of failures by public officials. The representative from the Bute Island Alliance highlighted that this process had been very helpful in the development of their regeneration plans. It was widely acknowledged that communities are becoming more diverse, and that it’s important to include all members of society. One delegate recounted her experience of Social Inclusion Partnerships (SIPs) – an initiative which aimed to reduce social exclusion – explaining that this model was very successful at engaging with black and minority ethnic (BME) groups. We’ve also seen the Scottish Government recognise the need to encourage young people to get involved in local planning decisions. Regeneration has always found it difficult to respond to wider political, economic, social and technological factors. Over decades, deindustrialisation and the change to a more knowledge-based economy has caused significant challenges for communities. For regeneration policy to be successful, it was suggested that people would need to be equipped with the skills to take part in future industries; otherwise we may see inequalities widen. Cities such as Dublin have seen rents increased dramatically due to the inward migration of highly-skilled technology workers, putting pressure on household budgets and showing the challenge for regeneration. In the past 25 years there has been an important shift in regeneration, moving from house building programmes to a more holistic approach, which includes policy areas such as health, employment, and the environment. However, the most recent Scottish Government regeneration strategy was published in 2011. It might therefore be time to revisit this strategy and provide a new vision for regeneration, taking recent learning and the changing environment into account. Maybe then, in the next 25 years, there will be no doubt over the successes of regeneration. The Knowledge Exchange provides information services to local authorities, public agencies, research consultancies and commercial organisations across the UK. Follow us on Twitter to see what developments in policy and practice are interesting our research team.